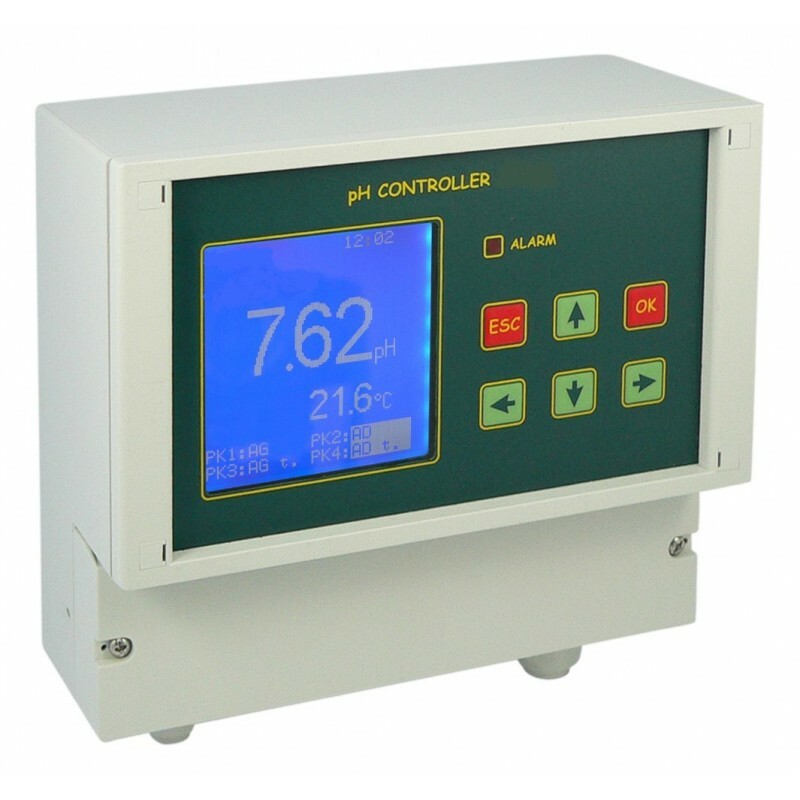 pH controller is designed to make measurements in pure water, ultra pure water and sewage. It is one of the new generation controllers with wide range of features and applications. Designed to work in power stations, heat and power plants and water treatment stations. It is a stationary device in a housing resistant to humidity (IP-65). The device is easy to operate, has an English menu. It is equipped with a collective optical signalisation of the correct work and the progress of the controlling process. The controller has an automatic compensation system, which cooperates with Pt-1000 temperature probe. The device enables 1, 2 or 3-point calibration of the pH electrode with automatic detection of the buffer solution value, earlier entered bu the user. It is possible to calibrate the meter without the need of disconnecting the outputs. The controller is powered with standard 230 V voltage, which is galvanically isolated from the input clamps. Optionally it is possible to use different power supply voltage: 110/230/24 V AC, 12 – 24 V DC. isolated current outputs: 0 ÷ 20 or 4 ÷20 mA. In case of using the relays and exceeding the entered lower or higher limits, the proper relay is switched (minimum and maximum alarm) or fill in or frequency coefficients are changed (for the PID controller). The meter is equipped with the real time clock with date. It is possible to connect a remote panel (keyboard with display), which enables controlling the device from up to 1 km distance. Possibility of the data radio transmission from the measuring head to the controller.